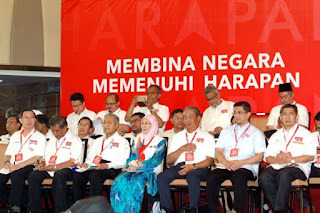 The electorate voted only one party and that was "Pakatan Harapan" there was no Hibiscus, no Rocket but we used the black eye of Anwar and believe me that was one of our biggest winning points and it was the only party we voted into power - "Pakatan Harapan." 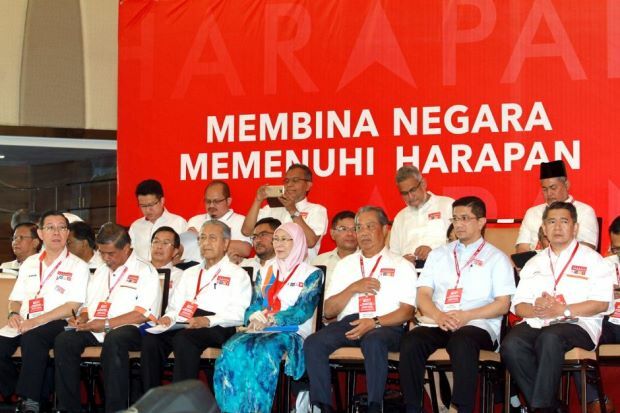 We could not use the harapan logo as the Registrar of societies illegally made it illegal so collectively the parties in PH agreed to this logo. We had a common logo and we stood under the common logo as one. Why then these divisions now? Let the PM of the day, the man most responsible for getting us to Putrajaya do his job, it has only just begun and there are years of undoing to be done. Rome was not built in a day so too will the rebuilding of Putrajaya as there is so much of change to be instituted. Change is a must, it is a difficult process because there will be a lot of resistance to change. Our past has left scars embedded into each and every one of us so much so even though we proclaim to be Malaysians we want to see our own kind up there. Change has to be done at a pace, a pace the people can accept, why even now it seems we can't accept this change at this slow rate and that is why things get delayed because of us, we do not allow the people we chose to make decisions, every time they do it we question we criticise, we condemn and we nit pick. How are we to progress then? There are 30 million Malaysians and if each one of gave an opinion of the way things are done it will take till Kingdom come to solve our problems. Admit it, we still have this deep rooted Chinese, Malay and Indian in us and that is the major element we must change. This element of our Race is precisely where this disgruntlement is coming from. It was first how come a Chinese Finance Minister, now it is how come this DAP MP and that other MP has not been made a Minister, or why this small boy (only 9 years younger than the age at which the present French President became Deputy Secretary General to the President of France, one of the four world powers and today at the age of 39 he assumed the French Presidency in a country with more than 60 million people) could be made a full minister? When are we going to discard our dinosaur mentality. The Prime minister makes his choice of ministers in his cabinet, he is responsible to the people for the performance of the government, we can't dictate terms to him, then expect him to perform if we decide who should be this minister or that minister or for that matter even a minister. If we decide that, the PM can't be held responsible for the performance of the whole. 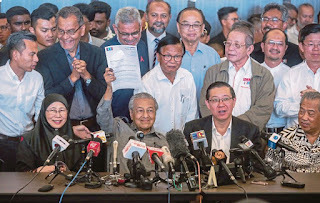 Our job is done we voted who we wanted in Parliament, not who we wanted for PM, or DPM, or Finance Minister or even Defence Minister. The people we voted into Parliament chose the PM and the PM in turn chooses his cabinet. We must first realise that we require to do this to give the PM our fullest support, he chooses the people he thinks are most capable and believe me even to appease you people to a very great extent some others. He needs to do the choosing, it so that he can carry on with his work of governing and with critics and disgruntled politicians all around a very fine balancing act. Very honestly I think he is doing a marvelous job, don't get side tracked by people with agendas both from within and without. Let the PM do his job.